The Beachside Getaway Estate is 2 separate units just 75 steps to the beach. Each of the homes features ADA accessible ramps and bathrooms making getting in and out of this island getaway easy. The Waika and Wila houses each have 3 bedrooms and 2 bathrooms with full kitchen. 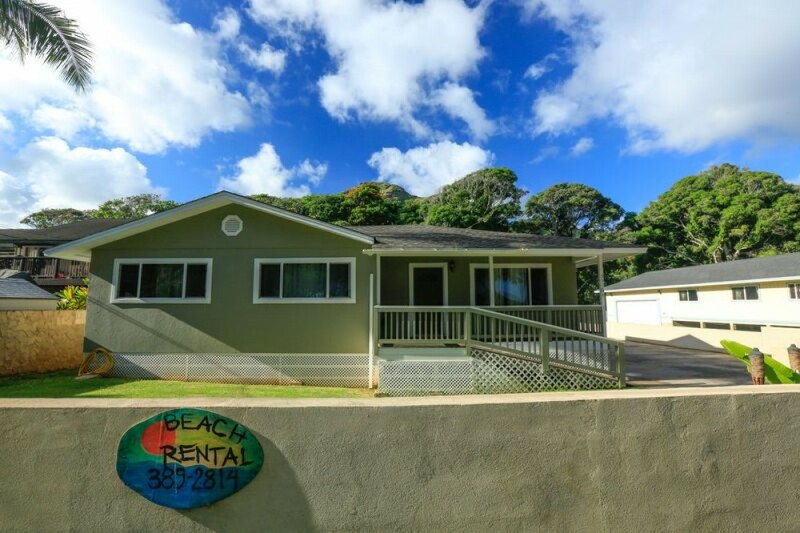 This property is nestled at the base of the Ko'olau Mountains in the Historic Laie. It is located only 2 minutes to the famous Polynesian Cultural Center (PCC) offering world class Polynesian presentations of cultural living, songs, and dances featuring 7 Polynesian cultures. Visit other Historical sites on the North Shore like the Brigham Young University- Hawaii, the Mormon Temple and surrounding churches, Kahuku and World Class Surfing only minutes away. There are many hiking trails through the coastal mountain range that offer amazing scenic views of the island's coastline which is memorable for all who venture out. There are trails that range from easy to very experienced and all are rewarding and bring you closer to the Aina (land) we call home.